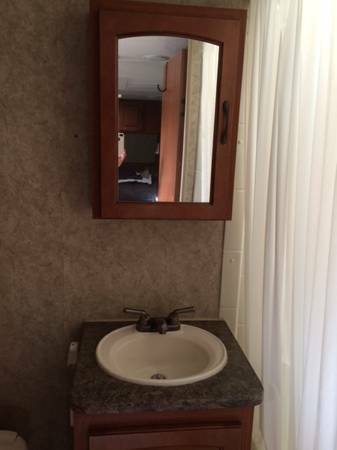 Once we decided that we wanted to remodel a travel trailer, we got to work looking at RV dealers and on Craigslist. We started looking at travel trailers that needed A LOT of work. Pretty much aluminum shells, that would require everything to be redone, from the wheels to the water systems. We found lots of cute trailers for cheap, but soon relized how much of an ordeal doing this for our first trailer this would be. We decided that we would go for a newer, better kept model, so that e could focus on what we really cared about- converting it into a comfortable living space. 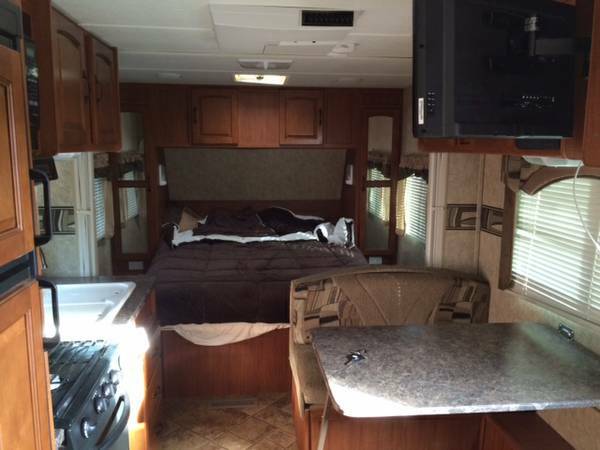 On Craigslist, we found a trailer that stood out; a 2010 23 foot trailer, for a decent price. We took a look at it, and realized the potential it had. Later that day, the owner towed it to our apartment! 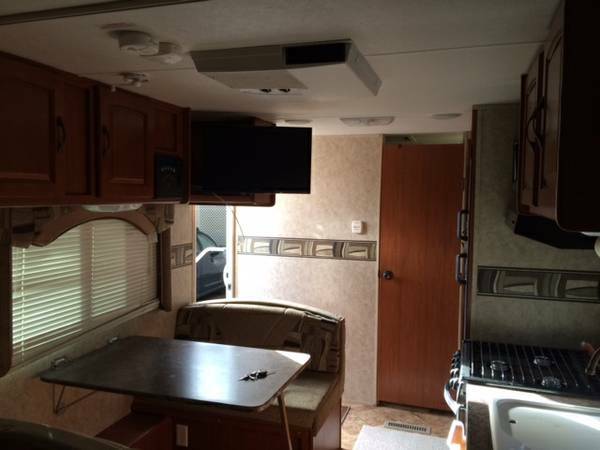 RV’s seem to come looking 15 years old from the factory, and ours was no different. So much wood veneer! What is up with the wall decals? Sweet dinette, bro! Love that Dinette and the wall decals! The kitchen. Awesome veneer cabinets. The whole place. Lots of fake wood, and outdated color. Dana is a bike nerd through and through, but also loves to tinker, make, and photograph. 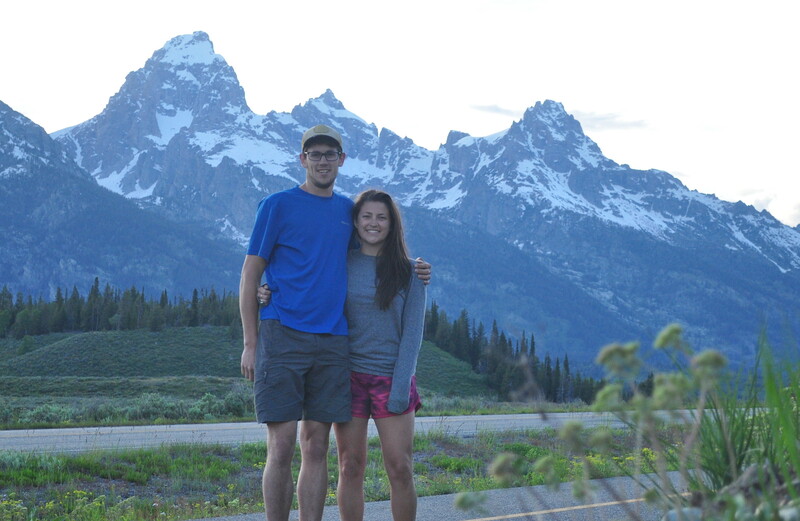 You can find him hiking, skiing, or mountain biking most weekends. Check out his personal site for cool data visualizations! Great Job on the trailer guys! This is exactly what I want to do or have a THOW made to my specs., but the price of those are really starting to get expensive. 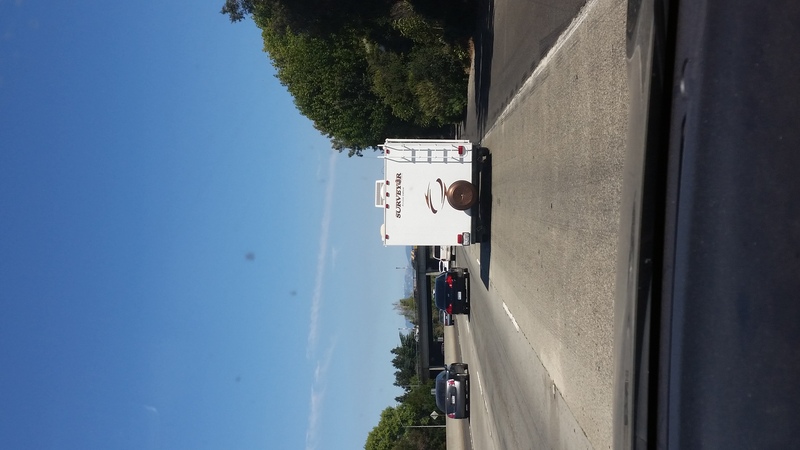 Do you have a cost breakdown of doing your conversion on the trailer? Also, of all the trailers you looked at, was this the best type to convert? I just found your website, so I will look to see if this info is on the site. I will look to sign up and live vicariously thru your adventures until my wife and I are ready to travel! Enjoy life and ALL that it offers! Thanks Craig! Custom THOW’s are super expensive, that’s why we opted for this route. While I don’t have a documented cost breakdown, when we did the project, we kept a running total. We estimate we spent about $2,000 to update and refurnish our place. That includes cookware and some power tools! 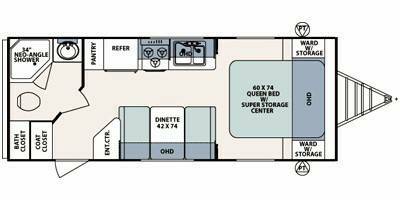 While there are a million different directions to go in, we found that this trailer had good bones, and a layout that we could envision making changes to, while leaving the kitchen mostly intact. 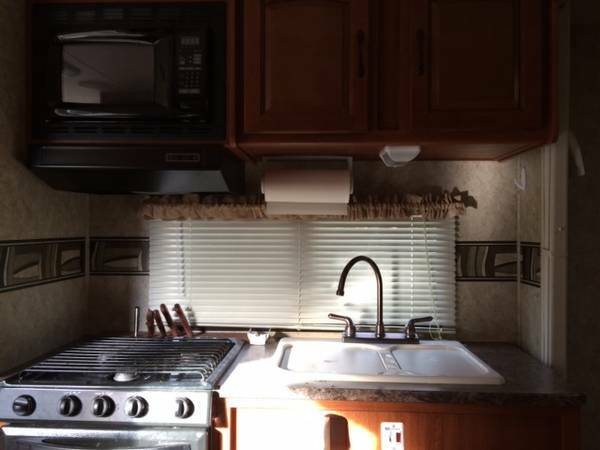 Kitchens are hard to work on, and expensive, so I’d advise you to find a trailer with a workable kitchen.